We think we’re protecting ourselves when we slather up with SPF 30+, but did you know that most sunscreens only protect against UVB rays and leave us open to damage caused by UVA rays? Wait, what? Let’s backtrack. Before we talk about what we need to be protected from, let’s define the different types of rays. The sun is the earth’s source of light and energy. In order to provide us with the things we need to survive, the sun lets off UV radiation as a part of the light spectrum that shines down on earth. These UV rays are classified by length in three categories: UVA, UVB, and UVC. The longest of the waves, these are divided further into two categories (UVAI and UVAII). These waves account for 95% of the UV rays that reach the earth’s surface, and thus we are exposed to these rays often. UVA rays penetrate the skin more deeply than UVB rays, and contribute to pre-mature aging and wrinkling. It was not suspected until recently that UVA rays were harmful beyond the aesthetic, but it is now understood that UVA rays damage the middle (basal & squamous) layer of the skin and may even initiate skin cancer. These are the medium sized rays. They mostly reach the outer layers of our skin, and are the primary cause for sunburn and sunspots. 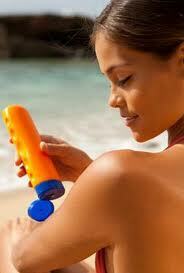 All sunscreens provide UVB protection, most pretty adequately. 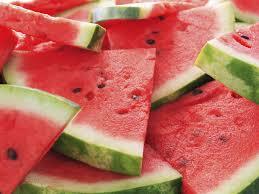 Its intensity, unlike the constant UVA rays, changes depending on season and location. These rays are the shortest. So short, in fact, that most of them don’t even penetrate the earth’s atmosphere. As of now, no studies have pointed to UVB rays as a problem for our skin. Because UVB rays and not UVA rays cause the visible damage to our skin, it was long thought that UVA rays were not harmful to us. In light of recent discoveries, UVA rays may be even MORE harmful for us than UVB rays and most sunscreens don’t protect against them! So read carefully, my friends, and when you go out to buy sunscreen make sure you’re getting one with UVAI, UVAII, and UVB protection to keep your skin safe and youthful for years to come! Makes skin cells more receptive to other ingredients, improving the efficacy of your entire skincare routine! We’ve been hearing about this super food for months, but what is it? A powder? A root? A magical health elixir? Thankfully, the JUARA Turmeric Benefits Guide is here to answer all of your questions! So, let’s start with the basics. What is turmeric? Part of the ginger family, turmeric is a native plant to southeast India. Turmeric is most popularly used in two forms: raw and dried. Turmeric has been used for almost 1000 years in cuisine, medicine, makeup, skin care, and clothes dying. When ingested, turmeric has historically been used to heal stomach and liver ailments. Turmeric powder concoctions have been used to bring down fevers. It can also be used as an anti-bacterial salve on open wounds. Those who consume turmeric on a regular basis report a reduction in arthritis pain, heartburn, sensitive stomachs, headaches, colds, and menstrual cramps. It may also help those with diabetes, depression, Alzheimer’s, and certain types of cancer. What can turmeric do for my skin? Turmeric, with its anti-inflammatory and redness reducing properties, can be used to treat a variety of skin conditions including eczema, allergic hives, and even chicken pox! Turmeric is also a great treatment for acne, as it is both anti-bacterial and anti-inflammatory. The JUARA Turmeric Face Mask maximizes the healing properties of turmeric by combining it with kaolin clay! Are there any side effects of ingesting or topically applying turmeric? There are no known side effects for applying turmeric directly onto the skin. When ingesting turmeric, however, it is important to remember that turmeric is a blood thinner. Consuming turmeric daily makes it more difficult for your blood to clot, so lessen your turmeric intake if you take medicine that thins your blood. Do you still have questions about Turmeric and its uses? Leave a comment on our Facebook page! Just For Men- Skincare Exclusive! Which means we get to chat about my favorite topic: men’s skin! Men of the world hear me now: DO NOT NEGLECT YOUR SKIN! We know that you are rugged, tough creatures who can do 200 push ups without breaking a sweat. We also know that your skin is just as prone to breakouts and wrinkles as ours is… and we know you don’t like it. And not with the old spice bar soap you use on your body. The skin on your face is much thinner and more sensitive than your body skin, which makes it more prone to breakouts from the heavy fragrance in most body care products. Try a cleanser like JUARA Rice Facial Cleanser or even a bar soap designated specifically for face (think Neutrogena). After 3 uses. No exceptions. None. Even when it’s cloudy, the sun’s rays beat down on your face. Constant unprotected exposure, over time, can be dangerous and cause premature aging. To protect yourself from rays without greasing up your skin, try a sunscreen specially designed for the face! Suntegrity makes a sunscreen/moisturizer duo with SPF 30. Do you get little red bumps after shaving and you can’t figure out why? You’re shaving in the same direction the hair is growing, but the bumps won’t disappear! It may have something to do with your aftershave. As heavenly as men’s aftershave can smell, the fragrance may be doing more harm than good. Try something fragrance-free to keep a smooth complexion. JUARA Tamarind Tea Hydrating Toner makes a great, soothing aftershave! High Blood Pressure Is Affecting… Your skin??? High Blood Pressure Affects 1 in 3 Adults in the United States. But what does that really mean? And how is it affecting your skin?? Blood pressure measures the rate at which the heart pumps blood and the effect that force has on the walls of the arteries. High Blood Pressure is extremely common and, as it has very few visible symptoms, can go untreated for years in seemingly healthy adults. So when you go to the doctor and they tell you your blood pressure is #/#, what does that really mean? Well, the top number (systolic blood pressure) measures the BP when the heart is beating and the bottom number (diastolic blood pressure) measures the BP in when the heart is resting in between beats. So what’s healthy? How do the numbers break down? So now that we’ve got the numbers down, what does this mean for your skin? So what can you do to stop this from happening? Catching rising blood pressure before it gets out of hand is key! Even a 10 minute walk can make a difference! High in fruits, veggies, and protein. Low in red meat and carbohydrates. Feeling sluggish or weak? Don’t ignore it- get checked out! Skin cancer is a rapidly growing problem in the United States with over 3.5 million new cases diagnosed every year, and in honor of skin cancer awareness month here are some tips to help you stay skin-healthy during the upcoming summer months! Most of us use sunscreen at the beach, but did you know that for true protection you have to wear sunscreen everyday? Think about it- our faces and hands are exposed to the sun even when our bodies are covered by clothes. Use a protective sunscreen on your face and hands (at least SPF 20) every day to maintain healthy skin and prevent sun spots and precancerous growths. And remember- the sun’s rays are still strong even when it’s cloudy, so don’t skip sunscreen on rainy days! Sun hats aren’t just for the beach. Wear one while walking outside, gardening, shopping, or running errands to protect the skin on the top of your head and your face from extra sun exposure. Plus, a sun hat is a cute addition to any outfit! If you’re really dying for that tanned glow, try a spray tan or at home tanning lotion. For a less permanent fix, mix a touch of bronzer to your daily body cream. Did you know that dermatologists recommend that you perform an at-home skin examination once a month? Knowing your body is key to detecting any illness early, and keeping track of your moles, birthmarks, skin tags, and sun spots is no exception! And just like an internal check up, it’s important to have a dermatologist perform an external check up once a year to catch anything you may have missed. We feel safe from the sun’s reach inside our cars, but we’re really not! While your windshield has built in UV protection, the side windows do not and generally let in about 63% of the sun’s rays! There is a solution: Window Film. Window film is endorsed by the Skin Cancer Foundation and blocks out almost 100% of the sun’s rays. Remember- even window film can only protect you when windows are closed, so if you like to cruise with the top/windows down apply sunscreen to your face, neck, and arms before getting into the car.